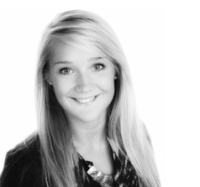 Charlotte joined the Kings team in 2015, having previously worked for two well-known local independent estate agents as a Negotiator and Senior Lettings Consultant. Charlotte has a sound knowledge of the Tunbridge Wells property market and her role as Lettings Coordinator sees her dealing with all aspects of Lettings to include handling repair issues, carrying out periodic inspections, coordinating tenancy administration such as preparing tenancy agreements, organising renewals, arranging check in's / out's, dealing with deposits and conducting viewings. Charlotte by her own admission is a fitness fanatic. Her other interests include skiing, dancing and swimming.